NATURAL CHEWING GUM. No artificial flavors. No artificial colors (like Blue 2 Lake or Red 40). 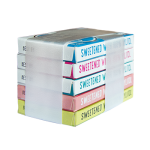 No artificial sweeteners (like Aspartame or Acesulfame K). No preservatives (like BHT). Non-GMO Project Verified. 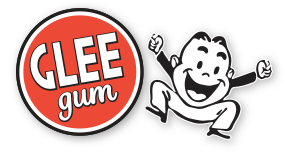 Classic Glee Gum is sweetened with Non-GMO cane sugar and brown rice syrup. 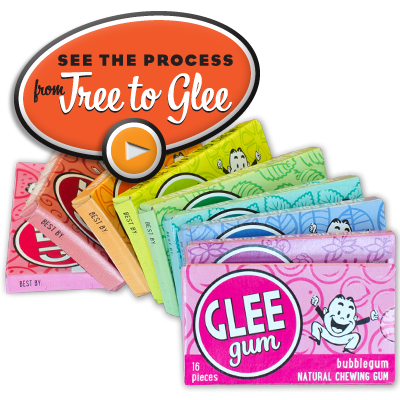 Sugar-Free Glee Gum is sweetened with 100% xylitol from American birch and beech trees for added dental benefits. ECO-FRIENDLY, TOO! Packaged in recyclable material (no blister packs) and made with chicle, a tree sap harvested sustainably from the rainforest of Central America. Once all chewing gum was made with chicle, but today most gum is made entirely from synthetic stuff. 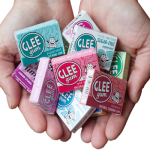 Glee Gum uses chicle because it helps to conserve the rainforest, giving trees more value standing than chopped down for lumber.